The weather here is finally warming up which means summer is almost here! While I love baking year-round, sometimes it gets so hot that turning on the oven means our air conditioning never turns off! 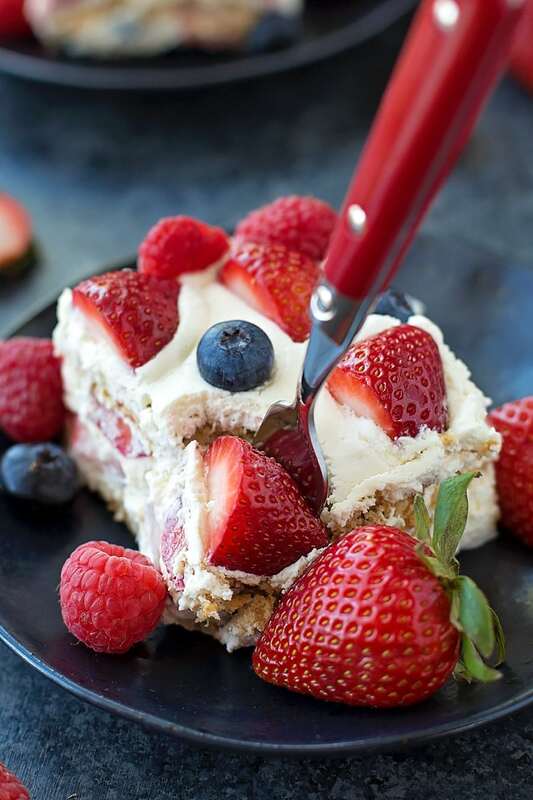 That’s where this EASY no-bake icebox cake comes in. It’s kind of magic! It’s like a mash-up between cheesecake, tiramisu, and a no-bake cream pie. And let me tell you, it tastes heavenly! 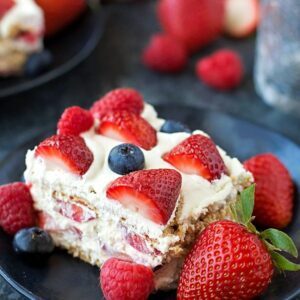 What I absolutely love about this dessert (aside from the fact that it’s LOADED with fresh berries), is that you can whip it up in a matter of minutes and it only requires a few ingredients. My kids loved helping me assemble it, I think it only took us 15 minutes. The hardest part is letting it chill in the refrigerator so that the graham crackers soften a bit. I know that may sound weird, but with a little time, they become tender and cake-like. 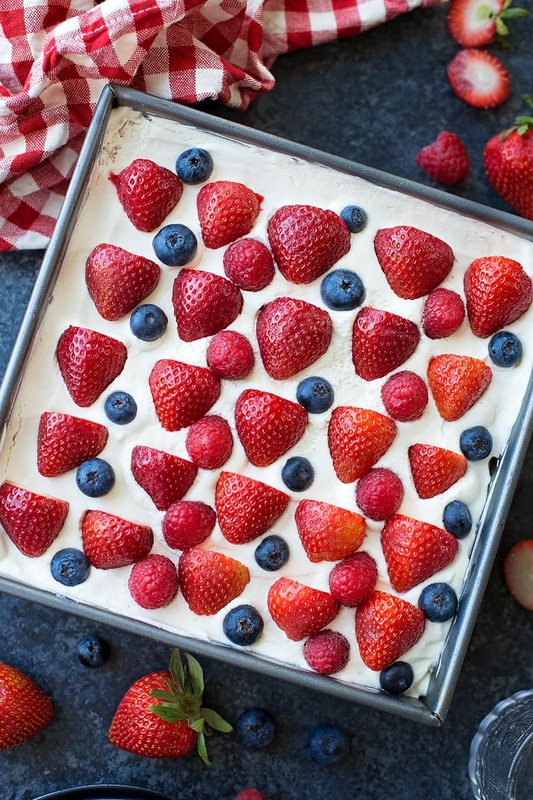 This icebox cake will be the hit of your summer BBQs. 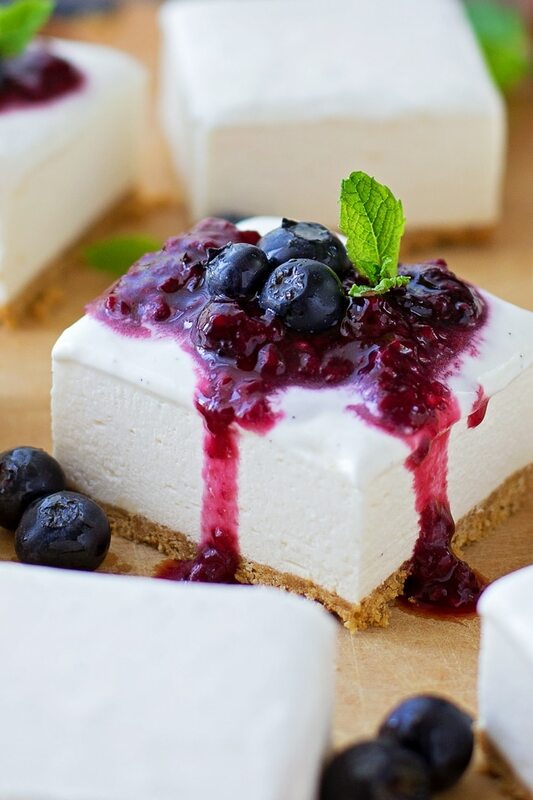 It’s simple, light and full of fresh summer berries. It’ll disappear in seconds! This icebox cake will be the hit of your summer BBQs. 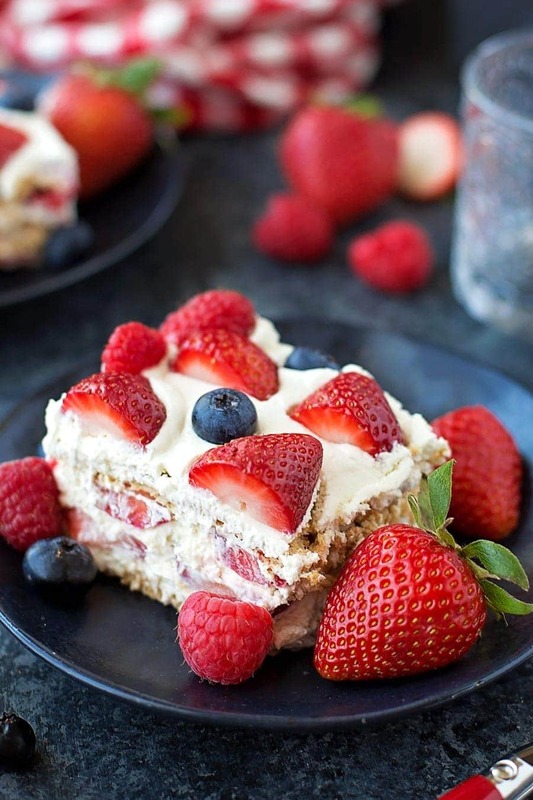 It's simple, light and full of fresh summer berries. It'll disappear in seconds! In a large mixing bowl with a hand mixer or in the bowl of a stand mixer, combine the heavy cream, powdered sugar and vanilla extract. Turn mixing speed on low, then gradually turn speed up to high. Beat until stiff peaks form. Set ½ cup of whipped cream aside. In a medium mixing bowl, beat the cream cheese until smooth. Fold the remaining whipped cream into the cream cheese. Spread a thin layer of the cream cheese/whipped cream mixture into the bottom of 9X9-inch baking dish. Place a layer of graham crackers over the top, then spread half of the cream cheese/whipped cream mixture over top. Place 1 cup of berries into the mixture. Repeat. Top with final layer of graham crackers, then spread the reserved whipped cream over top. Place the final cup of berries over top. Garnish with fresh mint, if desired. For patriotic holidays, you can always create a flag pattern on top! Thanks for sharing Natalie!! 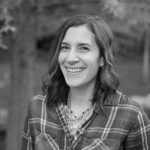 For more recipes by her, head over to Life Made Simple. Doesn’t it look amazing!? Let me know what you think 🙂 Thanks! LOL!! Did you try it? Thanks for stopping by! What a gorgeous cake!! And love how you’ve lightened it… looks amazing.